We strive, through life’s twists and turns, to live out our passions, stay true to ourselves, and take that one risk that could change our path forever. Tatiana Sánchez, founder and creative director of ‪UNELEFANTE‬, is quite familiar with this journey. With careful precision and ceaseless love for her career, Sánchez has channeled her passion for art into creations that lend a little piece of joy. 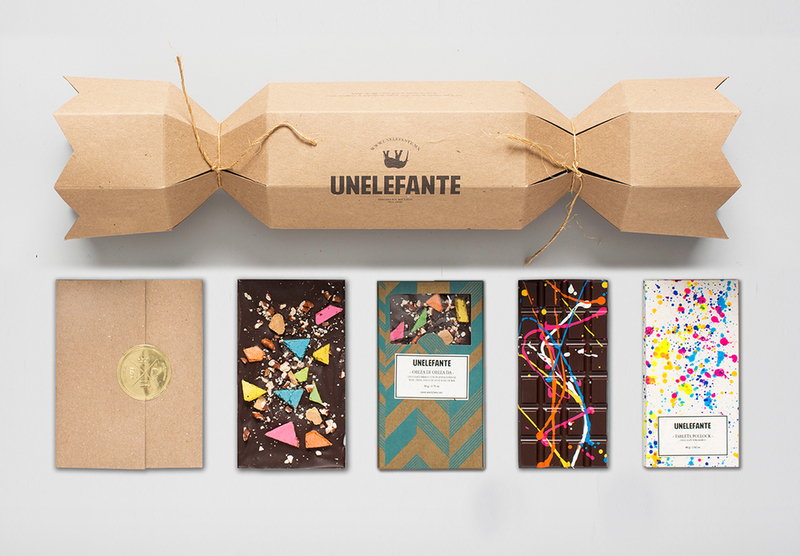 UNELEFANTE’s success has been built on mesmerizing gifts that burst with color. From festive and colorful balloons to a new series of colorful chocolate bars, “These creations have the ability to generate an unforgettable experience and really make people smile,” Sánchez explains. Sánchez started over nine years ago as a bespoke jewelry maker. It was during a time of flux in Mexico, when the country was overrun with cheaply made imitation products from Asia. This mass-production epidemic infiltrated the market, making it according to Sanchez, “difficult to sell true hand-crafted pieces.” Because of this, communities of design activists have been formed to celebrate and preserve hand-crafted trades that Mexico has known for centuries. One of these communities is La Lonja Mercantil, an independent design market that helped to re-inspire Sánchez to continue her craft and start UNELEFANTE. UNELEFANTE’s first product was a collection of large, round balloons that were sent to customers with a personalized card. Sánchez wanted to elevate her product to the next level. Her love for chocolate drove her to connect with Chef Jorge Llanderal and his family, the best chocolatiers in México. “We design the chocolates, the recipes are a collaboration, and he makes the chocolate,” says Sánchez. The chocolate line grew rapidly. The first creation was the “Pollock.” Obviously, deriving its name from the famous painter, the bar is 54% cocoa and hand painted with chocolate cocoa butter in various, eye-catching colors. After that delicious success, J. Llanderal and Sánchez, dreamed up the bark bar, made of 65% cocoa. Sánchez proudly explains, “We named it “El Jardín Secreto” or "The Secret Garden”—it's very feminine. 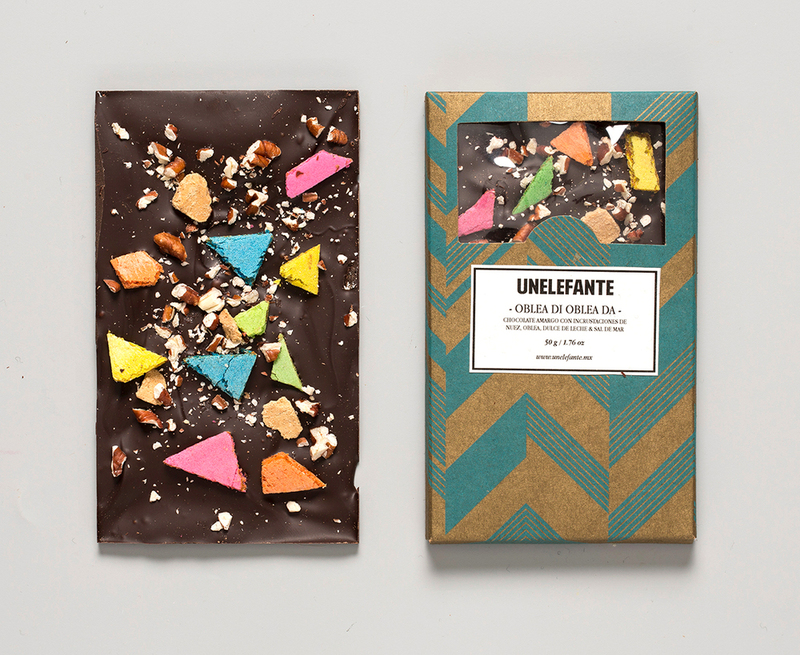 It has crystallized flower petals, cardamom, and pieces of dry apricots and pistachios.” All of UNELEFANTE’s cocoa is produced by Luker in Colombia, one of the finest in the world. Sánchez holds strong to her culture. All of the products are produced in México, and are inspired by Mexican culture. If there is a moment to celebrate, UNELEFANTE just might be the best way to kick off the party.